Compounding refers to the preparation, mixing, assembling, packaging, or labeling of a medication or device resulting from a practitioner, patient, pharmacist relationship in the course of professional practice. Compounding pharmacy professionals are also often involved in teaching, research, or chemical analysis work in addition to creating custom-made prescriptions. American Integrative Pharmacy (AIP), led by Dr. Neema Yazdanpanah, provides compounded medications to patients in Long Beach, Torrance, Los Angeles, South Bay Orange County, Southern California areas, and nationwide. Compounding pharmacy also involves the preparation of drugs or devices beforehand based on the historical patterns of prescription medication orders. The pharmacist prepares a customized drug according to the prescribing doctor’s specifications to address the individual requirements of a patient. Pharmacies can develop meds from scratch using powders, raw chemicals, and devices. Can Any Pharmacy Compound Customized Prescriptions? Quality chemicals and equipment are required to prepare custom-made prescription drugs, but these are unavailable at most pharmacies. On top of this, the pharmacists must be highly trained and experienced in compounding techniques. Integrative pharmacy support network should include several skilled chemists and pharmacists who constantly exchange ideas, innovations, and methods related to compounding to understand the feasibility of new formulations. Pharmacists compound prescription drugs for a variety of reasons. However, non-availability of commercial drugs and patient non-compliance to standard drugs are two of the main reasons why custom-made prescriptions are needed. Many patients experience allergic responses to dyes or preservatives or are sensitive to standard medication strengths. A compounding pharmacist, with a doctor’s consent, can alter the strength of a medication, change its form to enable the patient to ingest it more easily, and add flavor to make it more acceptable to the patient. 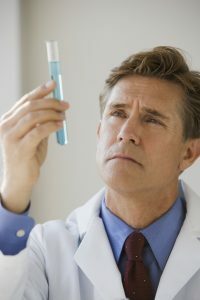 In addition, the pharmacist can prepare the drug using various unique delivery systems, such as a lozenge or sublingual troche, a transdermal gel, or a lollipop. Or for patients who find it challenging to swallow a capsule, a compounding pharmacist can prepare a suspension. Children are usually averse to taking medications due to their taste. In such cases, a compounding pharmacist can work directly with the doctor and the patient to choose a flavoring agent, such as tutti-frutti or vanilla butternut, that offers the benefits of the medication while accounting for the patient’s taste preferences. Compounding pharmacists can also help patients with chronic pain. For instance, patients of arthritis who cannot take specific drugs due to gastrointestinal side effects can benefit from custom-made medications. A compounding pharmacist can work with their physician to make a topical preparation with the anti-inflammatory or analgesic that their doctor has prescribed for them. Compounding pharmacists focus on customizing drugs to meet special needs. Customizing medications may involve height/weight appropriate pediatric medicines, injections for impotency, drugs for vets in various forms and flavors, alternatives in hormone replacement therapy, or dosage options, such as transdermal gels used in the treatment of hospice patients. The main goal of the compounder in making these customized drugs is to create a more positive therapeutic result for the physician and the patient. American Integrative Pharmacy offers the latest compounding medications, including online prescription refills, to patients in Long Beach, Torrance, Los Angeles, South Bay Orange County, Southern California areas, and nationwide. For more information on compound pharmacy medications available or to make an online prescription purchase, please click here or call Toll Free 1-855-247-7948. American Integrative Pharmacy is located in Lomita, CA serving residents in and around Orange County, Los Angeles, Long Beach, Torrance and surrounding areas. Online prescription sales are available across the US. Copyright ©2019 American Integrative. All Rights Reserved.